Stem cell research has been a hot topic for quite a long time, but it has now become the center of attention as Democrats, who took both chambers of Congress for the first time in twelve years, have pledged to increase federal support for stem cell research. The House of Representatives passed a bill that would reduce restrictions on federal funding for embryonic stem cell research. Besides favorable public opinion, local and state governments appear to be jumping on the stem cell bandwagon and will be pushing in my more money in the research. So what is a stem cell ?? A stem cell is a generic cell that can make exact copies of itself indefinitely. It is also a precursor cell that has the ability to make specialized cells for various tissues in the body (such as heart muscle, brain tissue and liver tissue). Stem cell research is expected to impact advances in curing diseases such as Alzheimer’s and Parkinson’s disease, diabetes, spinal cord injury, heart disease, stroke, arthritis, and cancer. As stem cells can be readily grown and transformed into specialised tissues such as muscles or nerves it has generated world-wide interest. However in U.S. there exists a widespread controversy over stem cell research due to the techniques used in the creation and usage of stem cells. Embryonic stem cell research is particularly controversial because currently it requires the destruction of a human embryo and/or cloning. Opponents of this research also argue that the practice is a slippery slope and experimenting with human cloning is against the natural biological process. Supporters of this research argue that it necessary to pursue embryonic stem cell research because the resultant technologies are expected to have significant medical potential, and that the embryos used for research are only those slated for destruction anyway. The ensuing debate has prompted authorities around the world to seek regulatory frameworks and highlighted the fact that stem cell research represents a social and ethical challenge. Conclusion:With a strong support from the Democrats the stem cell legislation will see brighter days. With the inclusion of new non-controversial methods of obtaining stem cells, it is only a matter of time before stem cell companies end up with huge government funding for research. Venezuelan President Hugo Chávez recently announced he would nationalize power utilities and the country’s biggest telecommunications firm CANTV VNT. After the announcement the share prices of CANTV tanked from trading around $20/share to $12/share. Ouch !!! He also mentioned that he plans to nationalize the entire energy sector indicating there are more targets for take-over. But he said he would permit foreign firms to hold minority stakes in energy deals. It was not immediately clear whether he intends to nationalize the whole sector or moves against specific projects or companies. 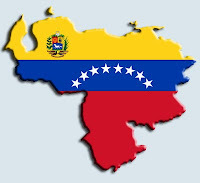 Venezuela will have to judge how closely private firms must be connected to the country’s oilfields, refineries, pipelines, gasoline stations and coal mines to count as targets for nationalization. Huge oil service companies such as Halliburton HAL and Schlumberger SLB operate in Venezuela but Chávez gave no indication whether deals involving such businesses were now in his sights. Chávez also said Venezuela was almost ready to take over the foreign-run oil projects of the Orinoco Belt, which produce about 600,000 barrels per day. Those projects are run by U.S. majors including Chevron, Conoco Phillips and ExxonMobil, as well as European heavyweights such as France’s Total, Norway’s Statoil and Britain’s BP. Chávez confirmed such firms could stay on as minority stakeholders after the state had acquired 51 %. Another noteworthy company that has operations in Venezuela is Crystallex International Corporation KRY. They are engaged in the production of gold, including exploration, development, mining and processing. The shares also took a plunge with the announcement, but it recovered after the management responded that nothing had changed the status of their mining operation. Recommendation: For now i would not touch these stocks. They are high risk stocks and will depend on the intention of the Venezuela government. Where are all the skilled labors ?? The biggest problem with job growth right now isn’t too few new jobs. It’s too few skilled workers. Job growth rose by 132,000 in 2005. Job growth rose by 115,000 in 2006. This indicates 11% drop in job growth even though in 2005 we had 2 horrible hurricanes. The overall the unemployment rate stands at 4.5 percent. There were 4.2 million job openings in October, up 8.8 percent from a year earlier, while hirings rose just 1.5 percent. Meanwhile, the number of workers quitting, retiring, getting fired or laid-off grew only 0.6 percent. Experts say that job growth and the economy would be significantly stronger if employers could find the skilled workers they really need. There would virtually be no long-term unemployment for skilled workers. The employers are quoting that their inability to find the workers with the skillset they need is one of their top problems. Most employers are looking to grab such skilled worker from other employers to fill their void, or hire them from outside the country, or hire someone without the desired skills. All this leads to drop in productivity level of the company. Alot of employers are holding on their workers and throwing in incentives to keep them. Experts think this trend will continue for a longer period (say a decade), with alot of Baby Boomer start leaving the work force. There will be some relief in 2012-2015 when demographic trends should start to help.